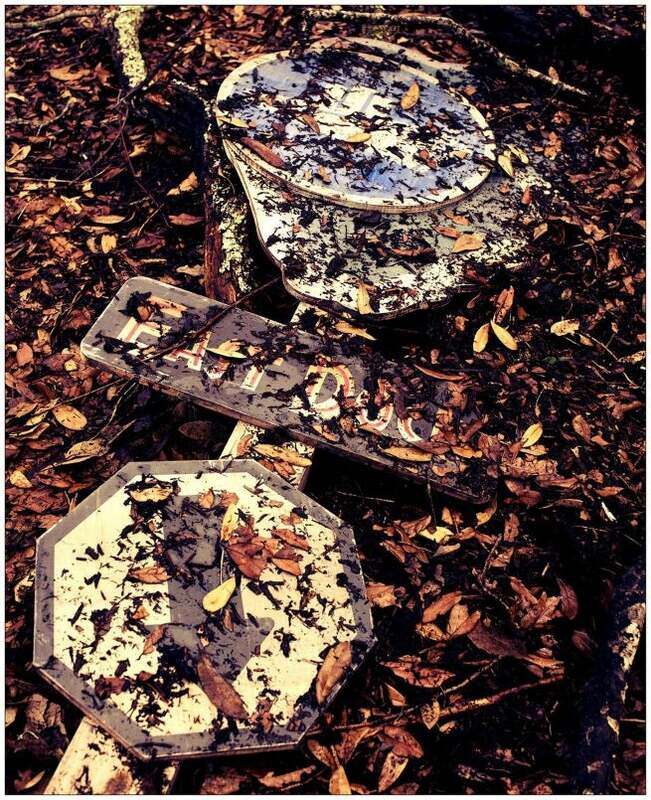 Director Colin Trevorrow has released another new image from the set of Jurassic World onto the Internet. The image is of a downed signpost covered in autumn leaves. Many fans are speculating that it is the very same signpost knocked over by Dennis Nedry when he was trying to escape the island with stolen dinosaur gene samples during a storm in the original Jurassic Park.